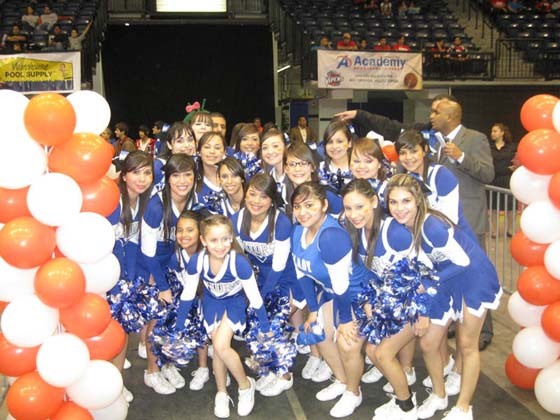 Grulla High School Cheerleaders had a Gators Night on January 19, 2011 at the State Farma Arena in Hidalgo, Texas. The squad performed a choreographed dance and cheered for the Vipers. The GHS Cheer squad is responsible for maintaining school spirit at different sporting events. They also participate in various community projects and events. The Rio Grande Valley Vipers is a basketball team that is part of the NBA Develpment League. Congratulations to the GHS Cheerleaders for participating at this basketball game.